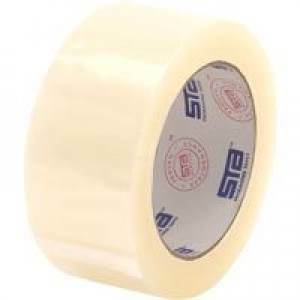 STA 2.7 Mil Acrylic Carton Sealing Tape Clear and is 3 inches wide and 110 yards per roll. This is a great general purpose packaging tape that performs well in a wide temperature range and a good closure for light weight boxes exposed to minimal distribution hazards. Currently not in stock, please quote for more information! ← Back to "Acrylic Packaging Tape: Hand Grade"
© 2017 Packaging Tape Depot - All Rights Reserved.